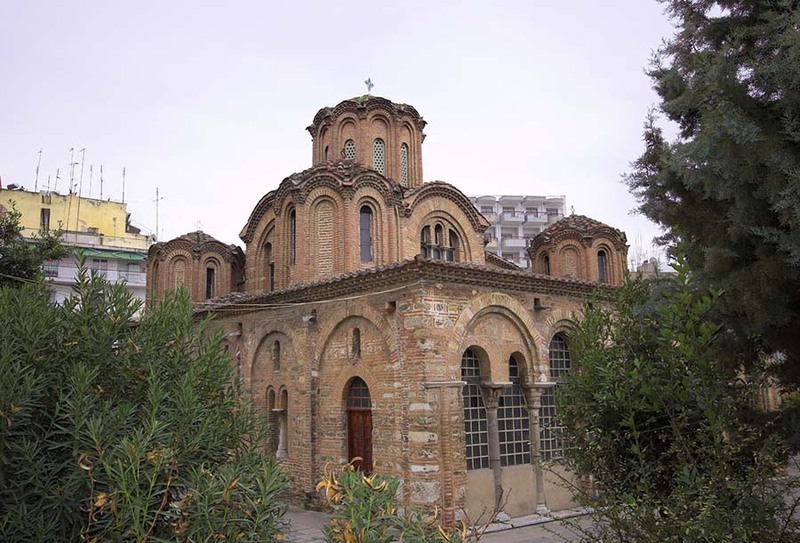 The church of Agios Dimitrios in the center of Thessaloniki, in the homonymous street, is one of the greatest monuments of the city. Demetrius, son of an aristocratic family of Thessaloniki, a prominent Roman citizen and an officer of the Roman army had embraced Christianity and had developed strong catechetical activity. In 303 AD he was arrested, imprisoned in the basement apartment of a public bath and in the same place he was slaughtered. Then, Christian took care to bury the body of the martyr to the point, where he died. 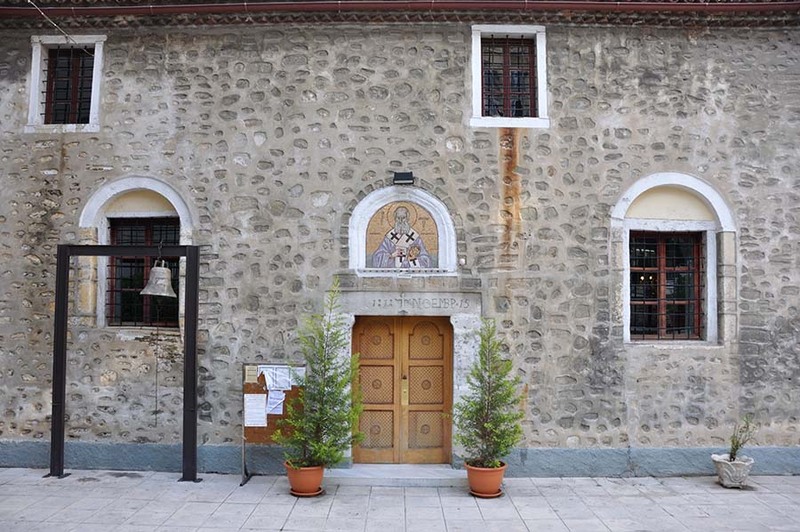 According to tradition,at the place of martyrdom and burial of Agios Dimitrios there was built in the fourth century a small chapel, which in the 413 -with the initiative of Leontius, prefect of Illyricum – was replaced by a glorious basilica. This church was destroyed by fire in the 7th century but was restored shortly. In the following centuries, the church has experienced looting, damage and repairs, while during the Turkish occupation it was used as a muslim mosque. 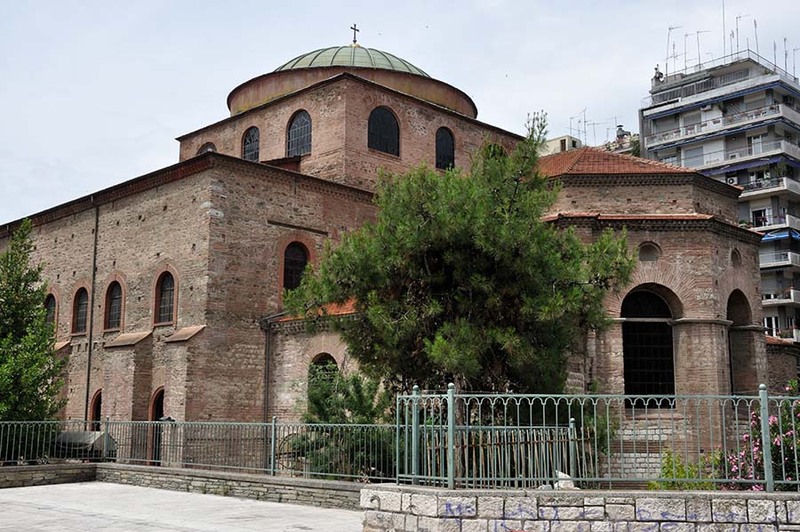 In 1917 the tortured and historic church was burned down almost completely by the great fire that destroyed a major portion of the center of Thessaloniki. The damaged building was reconstructed and renovated in the following decades, while in 1949 it was handed back to believers, functioning normally since then. In 1988, the temple was declared a World Cultural Heritage Monument by UNESCO. The church of Agios Dimitrios, of large size and impressive dimensions (length 43.58 m and width of 33 m) belongs to the type of wooden roofed basilica; it has five naves ,while on the eastern side it is being formed an extra, but transverse, nave. Just below the last, it is notable the existence of so-called Crypt, a labyrinthine underground worship area, which now serves as a museum. The church is distinguished by symmetry, diversity, majesty and magnificence. Colonnades with wise proportions, accentuation of the along axis, escalation of the individual components, numerous windows and ample lighting, double palates (zenana), luxurious marble sculptural decoration of unparalleled quality and wide variety are just a few of the morphological and structural features of the building. Special mention should be made on the mosaics and murals of the church that survived the disastrous fire of 1917: they are dedications of anonymous believers or nobles in honor of the patron saint, which were created at different times (5th to 15th century), they are not included in spesific pictorial program and they form - except for works of high art and design - valuable evidence about the history of Byzantine painting.